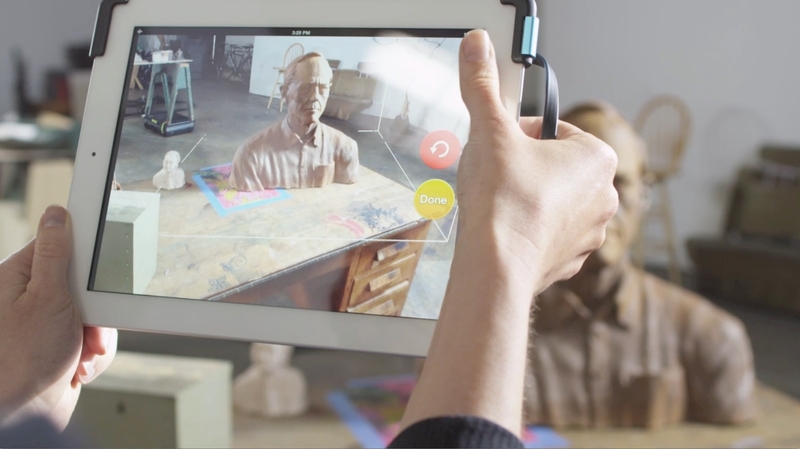 The Structure Sensor is a 3D scanner for mobile devices. It uses reflected infrared light to construct up three-dimensional models. The scanning area ranges from handheld object up to entire rooms.